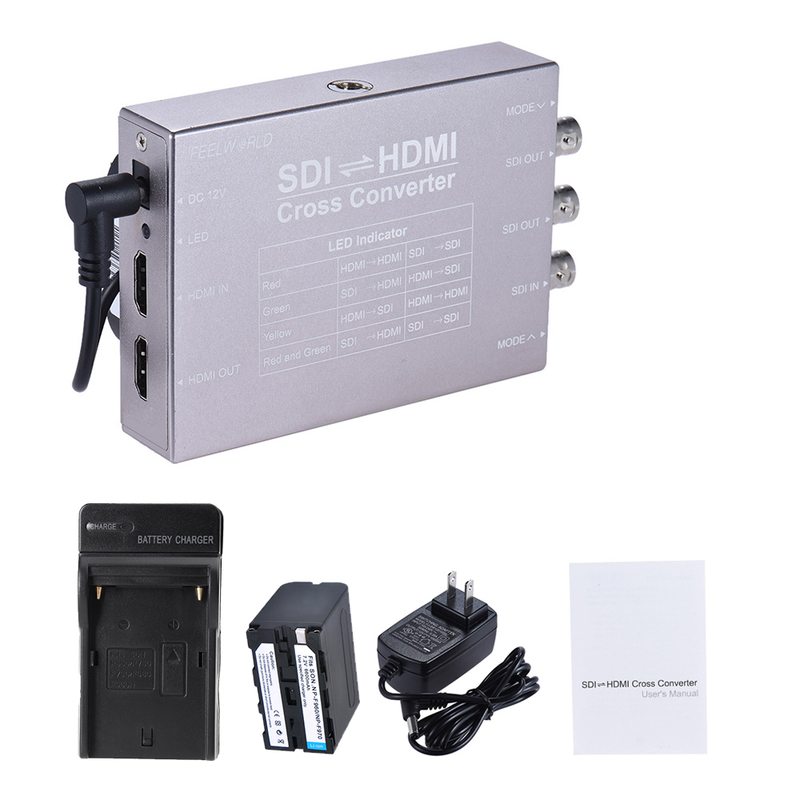 Comes with one SDI & HDMI cross converter, one battery and one battery charger. 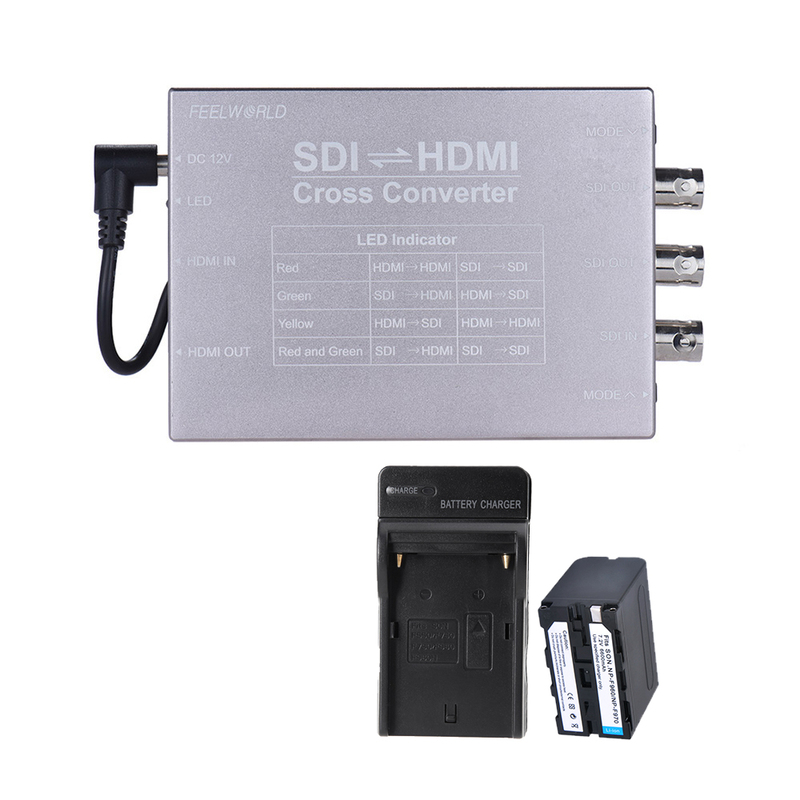 Feelworld high technology converter supports undistorted reduction and undistorted compression SDI & HDMI signal cross conversion. 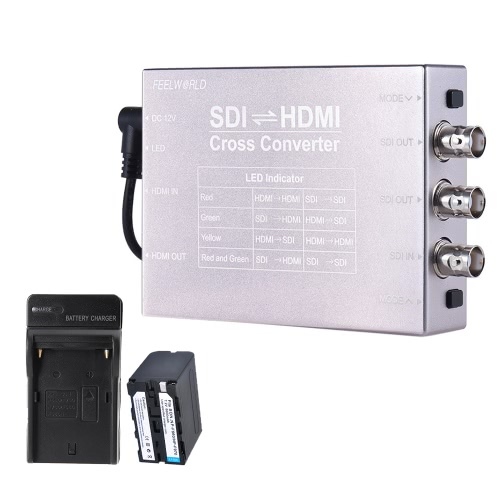 It can be widely used in video conference system, multimedia signal broadcast, radio and television program production and broadcast, SDI/HDMI signal extension and video security monitoring field and etc. 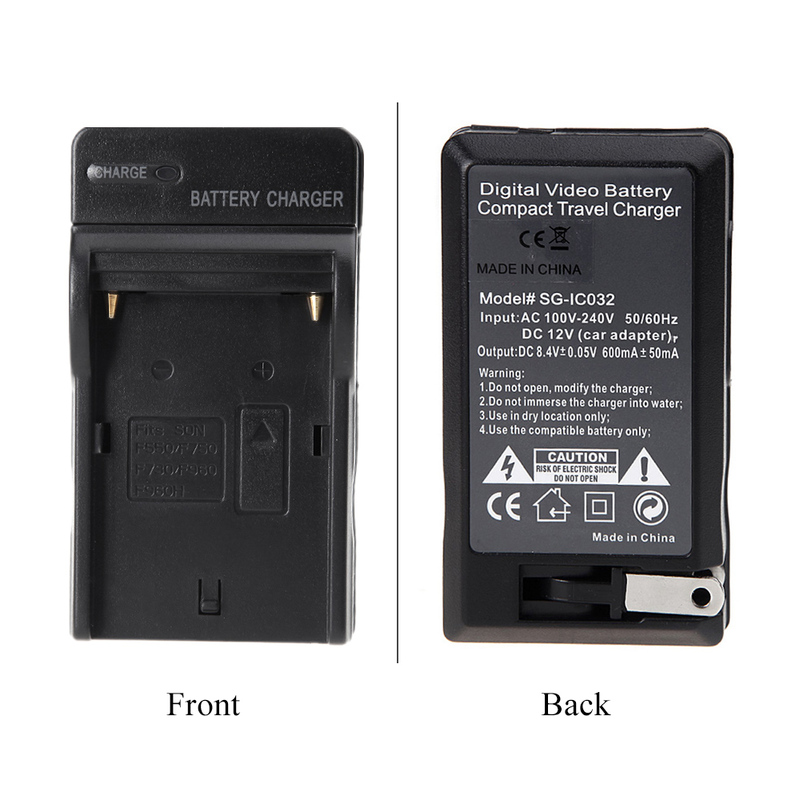 Both environmentally friendly battery and battery charger have overcharge, short-circuit and over-current and overheat protection. 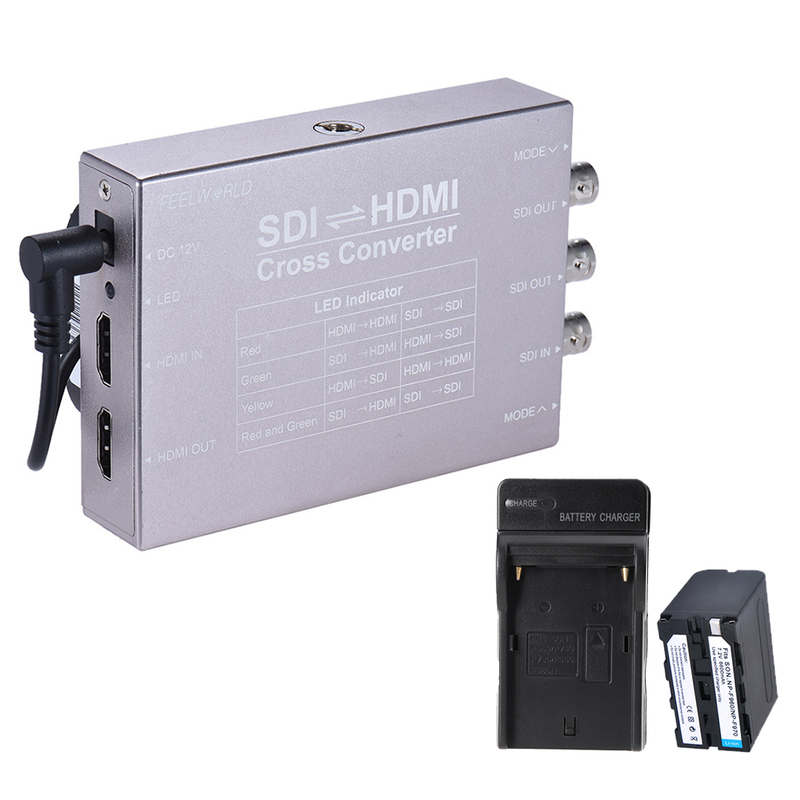 Support SDI to HDMI, HDMI to SDI signal cross conversion, with SDI & HDMI In, HDMI & 2-way SDI Out. Comply with SMPTE 424M, SMPTE 292M, SMPTE 259M standard, SD/HD/3G-SDI signals can converse perfectly. Adopt adaptive signal enhancement technology, ensure undistorted reduction undistorted compression video signals conversion. With LED indicator for indicating working mode, easy to operate. 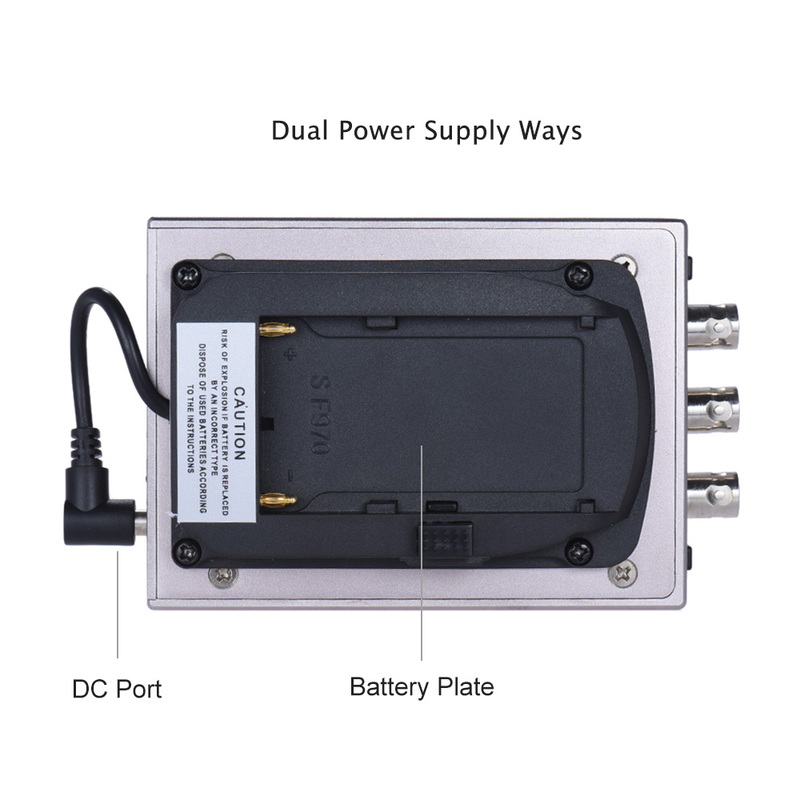 With DC port and SF970 battery plate, support 5V ~ 24V input voltage. Die-casting aluminum alloy housing, with 1/4" screw hole on both side. Mini size, exquisite and lightweight, extremely portable! Comes with 1pcs environment friendly 6600mAh battery and 1 battery charger with a foldable A/C plug. Can be widely used in video conference system, multimedia signal broadcast, radio and television program production and broadcast and etc.